This article is about the capital of Montenegro. For other uses, see Podgorica (disambiguation). Podgorica (/ˈpɒdɡɒrɪtsə/ POD-gorr-ih-tsə; Montenegrin Cyrillic: Подгорица, pronounced [pǒdɡoritsa], lit. "[area] below Gorica [the name of a hillock overlooking the city]") is the capital and largest city of Montenegro. Between 1946 and 1992 – in the period that Montenegro formed, as the Socialist Republic of Montenegro, part of the Socialist Federal Republic of Yugoslavia (SFRY) – the city was known as Titograd (Montenegrin Cyrillic: Титоград, [tîtoɡraːd]) in honour of Josip Broz Tito. Podgorica's favourable position at the confluence of the Ribnica and Morača rivers and at the meeting-point of the fertile Zeta Plain and Bjelopavlići Valley has encouraged settlement. The city is close to winter skiing centres in the north and to seaside resorts on the Adriatic Sea. Podgorica Municipality covers 10.4% of Montenegro's territory and is home to 29.9% of the country's population. It is the nation's administrative centre and its economic, cultural, and educational focus. The name Podgorica means "[area] below Gorica". Gorica, meaning "little hill", is the name of one of the cypress-covered hillocks that overlook the city centre. 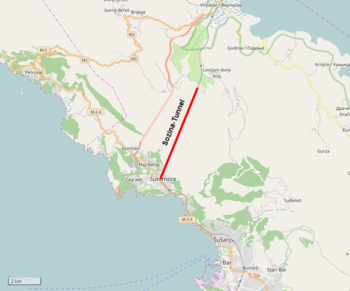 Some three kilometres (1.9 miles) north-west of Podgorica lie the ruins of the Roman-era town of Doclea, from which the Roman Emperor Diocletian hailed. In later centuries, Romans "corrected" the name to Dioclea, guessing wrongly that an "i" had been lost in vulgar speech. "Duklja" is the later (South Slavic) version of that word. At its foundation (some time before the 11th century), the town was called Birziminium. In the Middle Ages, it was known as Ribnica (Montenegrin Cyrillic: Рибница, pronounced [rîbnit͡sa]). The name Podgorica was used from 1326. From 1946 to 1992, the city was named Titograd in honour of Josip Broz Tito, the former President of Yugoslavia. Podgorica is at the crossroads of several historically important routes, near the rivers Zeta, Morača, Cijevna, Ribnica, Sitnica and Mareza in the valley of Lake Skadar and near the Adriatic Sea, in fertile lowlands with favourable climate. The earliest human settlements were in prehistory: the oldest physical remains are from the late Stone Age. In the Iron Age, the area between the Zeta and Bjelopavlići valleys was occupied by two Illyrian tribes, the Labeates and the Docleatae. The population of the town of Doclea was 8,000–10,000, in which all core urban issues were resolved. The high population density (in an area of about 10 km (6 mi) radius) was made possible by the geographical position, favourable climate and economic conditions and by the defensive positions that were of great importance at that time. 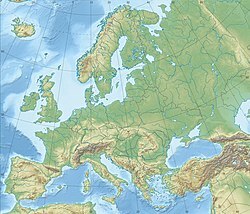 From the 5th century AD, with the arrival of the first Slavic and Avar tribes and the beginning of the break-up of the Roman Empire, the area bore witness to many noteworthy events. 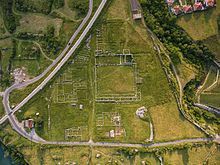 With time, the fortifications ceased their function and new towns were built; a new settlement probably named after the Ribnica river, on whose banks it was built, Ribnica, was established. It was first mentioned during the reign of the Nemanjić dynasty, as part of the Serbian kingdom. The importance of Ribnica was its position as crossroads in communications with the west. The name Podgorica was first mentioned in 1326 in a court document of the Kotor archives. The city was economically strong: trade routes between the Republic of Ragusa and Serbia, well developed at that time, were maintained via the road that led to Podgorica through Trebinje and Nikšić. As a busy crossroad, Podgorica was a vibrant regional centre of trade and communication. This boosted its development, economic power, military strength and strategic importance. The Ottoman Empire captured Podgorica in 1474. Podgorica became a kaza of the Sanjak of Scutari in 1479. The Ottomans built a large fortress in Podgorica, and the existing settlement, with its highly developed merchant connections, became the main Ottoman defensive and attacking bastion in the region. At the beginning of 1474 the Ottoman sultan intended to rebuild Podgorica and Baleč and settle them with 5,000 Muslim families (most of Slavic or Albanian origin), in order to stop cooperation between the Principality of Zeta and Albania Veneta. Podgorica fell again, but this time to the Turks in 1484, and the character of the town changed extensively. The Turks fortified the city, building towers, gates, and defensive ramparts that give Podgorica the appearance of an oriental military city. In 1864, Podgorica became a kaze of the Scutari Vilayet called Böğürtlen ("blackberry", also known as Burguriçe). On October 7, 1874, in a violent reaction over the murder of a local named Juso Mučin Krnić, Ottoman forces killed at least 15 people in Podgorica. The massacre was widely reported outside of Montenegro and ultimately contributed to the buildup to the Montenegrin-Ottoman War. The end of the Montenegrin-Ottoman War in 1878 resulted in the Congress of Berlin recognizing vast territories, including that of Podgorica, as part of the newly-recognized Kingdom of Montenegro. At that time there were about 1,500 houses in Podgorica, with more than 8.000 people living there - of Orthodox, Roman Catholic, and Muslim faiths flourishing together. After the Berlin Congress in 1878, when Podgorica was annexed to the Principality of Montenegro, marking the end of four centuries of Ottoman rule, and the beginning of a new era for Podgorica and Montenegro. The first forms of capital concentration were seen in 1902, when roads were built to all neighbouring towns, and tobacco became Podgorica's first significant commercial product. Then in 1904, a savings bank named Zetska formed the first significant financial institution, and it would soon grow into Podgorička Bank. World War I marked the end of dynamic development for Podgorica, which by then was the largest city in the newly proclaimed Kingdom of Montenegro. Podgorica was occupied, as was the rest of the country, by Austria-Hungary from 1916 to 1918. After the liberation by the Allies in 1918, the controversial Podgorica Assembly marked the end of Montenegrin statehood, as Montenegro was merged with the Kingdom of Serbia and incorporated into the Kingdom of Serbs, Croats, and Slovenes. In the Interwar period, the population of Podgorica was about 13,000. Podgorica suffered heavily during World War II. The city was bombed over 70 times over the course of the war, razing it to the ground and causing the deaths of over 4,100 people. The city was liberated on 19 December 1944. The progress halted again in the 1990s with the breakup of Yugoslavia, and the name of Podgorica was reinstated on 2 April 1992, when Serbia and Montenegro entered a federal state. The World War II memorial on Gorica Hill. On July 12, 1946, Josip Broz Tito made one of his early visits to Podgorica from the Radovče hotel, where he spoke to a crowd. It was the first of fifteen total visits made by Tito to the city after World War II. On July 25, 1948, the vice president of the People's Parliament of Montenegro, Andrija Mugoša, along with secretary Gavro Cemović, signed a law changing the name of Podgorica into "Titovgrad". The law was "retroactively" activated such that the name change applied to any records starting from July 13, 1946, when it became the capital of Montenegro within the newly-formed Socialist Federal Republic of Yugoslavia. However, in a glaring contradiction, the "Službeni list" or legal code of Yugoslavia recorded the name "Titograd" without the letter "v". Ultimately, "Titograd" was used over "Titovgrad". In addition to the new name, Titograd saw the establishment of new factories. The Radoje Dakić factory, built in 1946 for the production of heavy machinery, became one of the largest employers in Titograd. In 1964, Radoje Dakić guaranteed hired workers an apartment in the city. In the late 1960s, the cities of Titograd, Zadar, and Mostar competed to be selected as the location of Yugoslavia's expanding aluminum industry. In a highly-politicized selection process, Titograd was ultimately chosen and the Kombinat was constructed in 1969. In 1974, the public Veljko Vlahović University was founded in Titograd. Titograd was the site of massive protests during Yugoslavia's anti-bureaucratic revolution. On January 10, 1989, over 10,000 people protested in the city. By the turn of the decade, Titograd was recognized as the city with the most greenery in Yugoslavia, along with Banja Luka. Dajbabska Gora Tower at night. As Yugoslavia began to break up, Titograd was renamed to Podgorica after a referendum on April 2, 1992. The Yugoslav wars largely bypassed Montenegro, but the entire country was greatly affected with severe economic stagnation and hyperinflation lasting throughout the 1990s due to international sanctions. In 1999, Podgorica was subject to airstrikes during the NATO bombing of Yugoslavia. Following the results of the independence referendum in May 2006, Podgorica became the official capital of an independent state. On October 13, 2008, at least 10,000 people protested Kosovo's declaration of independence. In October 2015, protests took place in Podgorica ahead of Montenegro's accession into NATO. After a demonstration of at least 5,000 to 8,000 people, the police used tear gas to disperse demonstrators from the parliament. Protests in the city continued through the 2016 Montenegrin parliamentary election. On February 22, 2018, a Yugoslav Army veteran killed himself at the US embassy in Podgorica. Podgorica is located in central Montenegro. The area is crossed with rivers and the city itself is only 15 kilometres (9.3 mi) north of Lake Skadar. The Morača and Ribnica rivers flow through the city, while the Zeta, Cijevna, Sitnica and Mareza flow nearby. Morača is the largest river in the city, being 70 m or 230 ft wide near downtown, and having carved a 20 m or 66 ft deep canyon for the length of its course through the city. Except for the Morača and Zeta, other rivers have an appearance of small creeks. The richness in bodies of water is a major feature of the city. In contrast to most of Montenegro, Podgorica lies in a mainly flat area at the northern end of the Zeta plain, at an elevation of 40 m (130 ft). The only exceptions are hills which overlook the city. The most significant is 130.3 m (427 ft) high Gorica Hill (pronounced [ˈɡǒrit͜sa]), city's namesake, which rises above the city centre. The other hills include Malo brdo ("little hill", 205.4 m or 674 ft), Velje brdo ("big hill", 283 m or 928 ft), Ljubović (101 m or 331 ft) and Dajbapska gora (172 m or 564 ft). For the most part, these are too steep for development and thus limit the city's expansion, especially to the north. However, urbanization has been encroaching on the lower slopes of the hills since the 1990s. Podgorica city proper has an area of 108 square kilometres (42 sq mi), while actual urbanized area is much smaller. Under the Köppen climate classification, Podgorica has a humid subtropical climate (Cfa), since there is only one summer month with less than 40 millimeters (1.6 in) of precipitation, with summer highs around 30 °C (86 °F) and winter highs around 10 °C (50 °F). Although the city is only some 35 km (22 mi) north of the Adriatic Sea, an arm of the Mediterranean, Rumija mountain acts as a natural Dinaric Alps barrier, separating Skadar Lake basin and Podgorica area from the sea, thus limiting temperate maritime influence on the local climate. The mean annual rainfall is 1,600 mm (63 in). The temperature exceeds 25 °C (77 °F) on about 135 days each year and the median daily temperature is 15.6 °C (60.1 °F). The number of rainy days is about 120, and those with a strong wind around 60. An occasional strong northerly wind influences the climate in the winter, with a wind chill effect lowering the perceived temperature by a few degrees. The all-time maximum snowfall record was beaten on 11 February 2012, when 58 cm (23 in) of snowfall were measured. Before that, the biggest snowfall in Podgorica was in 1954, when 52 cm (20 in) of snowfall were recorded. Maximum temperature was recorded on 24 August 2007, at 44.8 °C (112.6 °F), while all time minimum was −9.7 °C (14.5 °F), on 4 February 1956. As part of the Ottoman Empire until 1878, Podgorica has some examples of Ottoman architecture. The oldest parts of the city, Stara Varoš (Old town) and Drač are typical of this, with two mosques, a Turkish clock tower and narrow, winding streets. During World War II, Podgorica was almost razed to the ground, being bombed over 70 times. After liberation, rebuilding began as in other cities of the communist-ruled SFRY. Mass residential blocks were erected, with basic design typical of Eastern bloc countries. All that part of the city on the right bank of the Morača River was built this way. The main contemporary traffic arteries were laid out during this period, which extended the orthogonal street layout of city center, to the south and west. Residential and infrastructural developments in the SFRY era have mostly shaped the layout of today's Podgorica, and accommodated the unprecedented population growth that followed World War II. Blažo Jovanović Bridge over the Morača. A major advance in Podgorica architecture began in the late 1990s and, since then, the face of the city has changed rapidly. Residential and business construction are proceeding rapidly, incorporating contemporary glass-and-steel architectural trends. In an effort to create a recognizable and modern state capital, city officials are routing significant investments in city's public spaces. Thus, the city has gained entirely new squares, parks and monuments. New landmarks include the Hristovog Vaskrsenja orthodox temple and the Millennium Bridge, the main feature of the Podgorica skyline. Former residence of King Nikola I Petrović, today an art gallery. The Marko Miljanov Museum (Muzej Marka Miljanova) in Medun shows life in 19th century Montenegro. 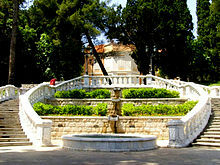 There is a notable art gallery in the Dvorac Petrovića (Petrović Castle) complex in Podgorica's largest public park. King Nicholas's castle, Perjanički Dom (House of the Honour Guard), castle chapel and surrounding buildings were converted to an art gallery in 1984. Since 1995, it has been part of the Modern Arts Centre (Centar savremenih umjetnosti) and houses approximately 1,500 works of art. The historic Cinema of Culture (Kino Kultura), which was founded in 1949, was closed in November 2008 due to continuous financial losses it generated. It was the only cinema in the city for 6 decades. The building of the former cinema will be converted to host the Podgorica City Theatre. Shortly after its closure, a Ster-Kinekor (later acquired by Cineplexx) 6-screen multiplex cinema opened at Delta City shopping mall. A significant cultural institution of over fifty years' standing is the Budo Tomović Cultural-Informational Centre (KIC Budo Tomović). It is a public institution which organizes various artistic events, including Podgorica Cultural Summer (Podgoričko Kulturno Ljeto), FIAT – International Alternative Theatre Festival (Festival Internacionalnog Alternativnog Teatra), DEUS – December Arts Scene (Decembarska Umjetnička Scena). Radio and Television of Montenegro. Podgorica is the media hub of Montenegro. It is home to the headquarters of the state-owned public television broadcaster RTCG. Commercial broadcasters in Podgorica include RTV Atlas, TV Vijesti, Pink M and 1Prva. It was announced that the city's local television will be launched soon. Their programmes can be received in much of Montenegro. All Montenegro's daily newspapers (oldest Montenegrin daily newspaper Pobjeda, Vijesti, Dnevne Novine and Dan) are published in Podgorica, as the weekly magazine Monitor. The most popular sports by far are football and basketball. Basketball became especially popular with the success in the late 20th and early 21st centuries of KK Budućnost, both in Regional and European competitions. Football in Podgorica has a long tradition associated with Budućnost. World-famous players Predrag Mijatović and Dejan Savićević were born in Podgorica and made their debut in that team. The club FK Zeta from the Podgorica suburb of Golubovci has also reached the former first league of Serbia and Montenegro. These clubs, along with Sutjeska from Nikšić, usually compete with each other for leading position in the First League of Montenegro. Other clubs from Podgorica and its surroundings play in the Montenegrin First League e.g. OFK Titograd & Kom. One of the most popular clubs from the suburbs is FK Ribnica from Konik, FK Zabjelo from Zabjelo and OFK Mladost 1970 from Donja Gorica. The volleyball team OK Budućnost and the women's handball team ŽRK Budućnost T-Mobile have had significant success in European competition. Budućnost Podgorica is the most important sports club in Podgorica. Its name means Future. Chess is another popular sport and some famous global chess players, like Slavko Dedić, are born in Podgorica. Sporting events like the annual Podgorica Marathon and the Morača River jumps attract international competitors. Podgorica was the host of 2009 FINA Men's Water Polo World League. Podgorica City Stadium. When the eastern stand is completed, it will have a capacity of 24,000. It is the home of FK Budućnost Podgorica and the Montenegro national football team. It is currently the only venue in Montenegro that complies with FIFA standards for international football matches. Morača Sports Center, a multi functional indoor sport facility. It has a capacity of 4,200 seats. It hosted one group of EuroBasket 2005, while other games were played in Belgrade, Vršac, and Novi Sad. Almost every football club in Podgorica has its own stadium, although these are often only fields with small stands or no stands at all. Other notable venues are the Stadion malih sportova under Gorica hill and the sport shooting range under Ljubović hill. There are many other sports facilities around the city, most notably indoor soccer fields. Aerial view of the Plantaže wineyard, this wine field is the largest single one in Europe. Podgorica is not only the administrative centre of Montenegro, but also its main economic engine. Most of Montenegro's industrial, financial, and commercial base is in Podgorica. Before World War I, most of Podgorica's economy was in trade and small-scale manufacture, which was an economic model established during the long rule of the Ottoman Empire. After World War II, Podgorica became Montenegro's capital and a focus of the rapid urbanization and industrialization of the SFRY era. Industries such as aluminium and tobacco processing, textiles, engineering, vehicle production, and wine production were established in and around the city. In 1981, Podgorica's GDP per capita was 87% of the Yugoslav average. In the early 1990s, the dissolution of Yugoslavia, Yugoslav wars, and the UN-imposed sanctions left Podgorica's industries without traditional markets, suppliers, and available funds. This, combined with typical transition pressures, led to a decline of the industrial base, where many industries collapsed leaving thousands of citizens unemployed. However, some of the industries, including Podgorica aluminium smelter and Plantaže, managed to survive the turmoil of the 1990s, and are still major contributors to Montenegrin export and industrial output to this day. As Montenegro began its push for independence from Serbia in the late 1990s, Podgorica greatly benefited from increased concentration of government and service sectors. In addition to almost the entire country's government, Podgorica is home to the Montenegro Stock Exchange and other major Montenegrin financial institutions, along with telecommunications carriers, media outlets, Montenegrin flag carrier airline, and other significant institutions and companies. The large presence of government and service sectors spared the economy of Podgorica from prolonged stagnation in the late 2000s recession, which hit Montenegro hard. Although, in mid-2014, some 30% of Montenegro's citizens lived in Podgorica, the municipality accounted for 44% of the country's employed. Out of the entire mass of paid nwt salaries in Montenegro in that year, some 47% was paid in Podgorica. The average monthly net salary in May, 2014 was €509 in Podgorica municipality. Although medium-sized by European standards, Podgorica is by far the largest city in Montenegro: almost one third of Montenegrin citizens live there. According to the 2011 census, there are 185,937 people in Podgorica Capital City, which is analogous to metropolitan area, and includes the small towns of Tuzi and Golubovci, while 150,977 people live within the city proper. Out of total population of Podgorica Capital City, 48.73% are male, while 51.27% are female. Average age of Podgorica population is 35.7. Serbian is the most spoken language, with 42.4% of Podgorica citizens declaring it as their first language. It is followed closely by Montenegrin, at 41.17%. Other significant languages spoken in Podgorica are Albanian (5.53%) and Romani (1.81%). The majority of Podgorica citizens are Orthodox Christians (78.27%), while there are significant minorities of Muslims (11.23%) and Catholics (4.27%). Podgorica is home to three main religious groups: Orthodox Christians, Sunnite Muslims and Catholic Christians. Orthodox Christian population mostly originates from the local Montenegrin and Serb population, which accepted Orthodox Christianity in Middle Ages after a major split during The Great Schism. They represent the major religious group. There are various Eastern Orthodox churches in the City such as St. George Church which originates from the 13th century, or Cathedral of the Resurrection of Christ which is largest church in the city to have been recently erected. The Muslim population mostly originates from local Bosniaks, as well as Albanians. There are several mosques in Podgorica and Tuzi. Catholic population mainly consists of local Albanian minority. The main religious site for the Catholic population located in the Konik neighbourhood is the Church of the Holy Heart of Jesus constructed in 1966, in Brutalist style which makes this object unique. Other Catholic objects are located in eastern suburb Tuzi. The city administration consists of mayor, city assembly and a number of secretariats and administrative bodies which together act as a city local government. The city assembly has 59 members, elected directly for four-year terms. The mayor used to be directly elected for five-year term, but since the new law was introduced in Montenegrin municipalities mayors will be elected by the city assembly and will have to maintain its support during his term. Separate elections are held for the local sub-division of Golubovci since it is part of their administrative autonomy inside Podgorica municipality. Constant questions are raised by various politicians over gaining separate municipality status for Golubovci. 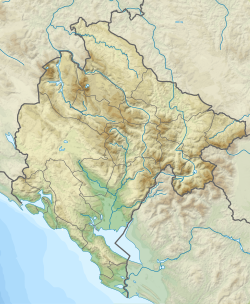 In 2018, Tuzi became its own municipality after a vote on the Montenegrin Parliament. On local elections held on 25 May 2014, the Democratic Party of Socialists won 29 seats in the municipal assembly, one short of 30 needed to form a majority. Democratic Front won 17 seats, SNP won 8 seats, while coalition made of Positive Montenegro and SDP won 5 seats. After lengthy negotiations, SDP dissolved coalition with Pozitivna, and made arrangement on forming majority with DPS, similar to one they have in national government. While SDP is longtime partner of DPS at national level, it has been in opposition in Podgorica municipal assembly in 2010-2014 period. Since October 2014, position of the mayor is held by DPS official, Slavoljub Stijepović, replacing Podgorica mayor od 14 years, Miomir Mugoša. The municipality of Podgorica consists of Podgorica City Proper and one subdivision (called city municipality, градске општине, gradske opštine), which is Golubovci. University of Montenegro , Faculty of Civil Engineering. The Montenegrin Academy of Sciences and Arts is in Podgorica, as is the DANU cultural organization. The Mediterranean University was founded 2006 as first private university in Montenegro. In the meantime, the number of private institutions for higher education has increased, like UDG - University of Donja Gorica. The municipality of Podgorica has 34 elementary schools and 10 secondary schools, including one gymnasium. The first secondary school established in Podgorica is Gymnasium "Slobodan Škerović". The rebuilt economic high school offers new features and higher quality education. The Radosav Ljumović National Library is considered the most comprehensive in Montenegro. Northern entrance to Podgorica (E65, E80). Public transport in Podgorica consists of 11 urban and 16 suburban bus lines. The city-owned AD Gradski saobraćaj public transport company used to be the sole bus operator until the 1990s, when private carriers were introduced. The company went bankrupt in 2001, and buses were since operated solely by private carriers. Public transport faces competition from very popular dispatched taxi services. De-regulation and stiff competition has made taxi services very affordable. Over 20 taxi companies are operating in Podgorica with close to 800 vehicles in service. Usually, taxi companies provide a high level of service, with relatively new and uniform car fleets and GPS-tracked vehicles. Sozina Tunnel shortens the journey from Podgorica to Montenegro's main port Bar, by some 25 km. Podgorica's location in central Montenegro makes it a natural hub for rail and road transport. Roads in Montenegro (especially those connecting Podgorica to northern Montenegro and Serbia) are usually inferior to modern European roads. 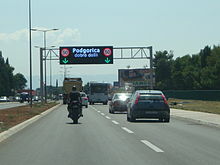 Both major Montenegrin motorway projects, Bar-Boljare motorway and Nudo–Božaj motorway, will pass near Podgorica. The newly built Sozina tunnel (4.2 km) shortened the journey from Podgorica to Bar (Montenegro's main seaport) to under 30 minutes. Also a new road bypass has been constructed in 2011, to remove transport routes from north to south of the country, out of the city centre. A south-western bypass has also been planned, with same goal of moving heavy transport out of the city core. Podgorica is also characteristic for its extensive network of multi-lane boulevards which make inner city transport quick and effective. Traffic over the Morača River also goes fluently since river banks are very well connected with 6 vehicular and 3 pedestrian bridges. Podgorica is a hub of the X-shaped Montenegrin rail network. The Belgrade–Bar line converges with the line to Nikšić and line to Shkodër at the Podgorica Rail Station. The station itself is located 1.5 km (0.93 mi) to the southeast of the main city square. Podgorica's main railway link (for both passenger and freight traffic) is Belgrade–Bar. The link to Nikšić was recently under reconstruction (electrification); afterwards, passenger service started in October 2012. The rail link to Shkodër is currently used as freight-only. Podgorica Airport is located in Zeta Plain, 11 km (6.8 mi) south of the city centre, and is Montenegro's main international airport. Stjepan Mesić, former President of Croatia. ^ "Montenegrin 2011 census". Monstat. 2011. ^ Wells, John C. Longman Pronunciation Dictionary. Pearson Longman. ISBN 978-1-4058-8118-0. ^ Marijan-Mašo Miljić. "JUSOVAČA - KAZNENI ZAVOD U PODGORICI (1893 - 1945)" (in Serbian). Retrieved January 5, 2019. ^ Perivoje Popović (November 7, 2016). "Изблиза о далеком: Подгорички покољ 1874.". ИН4С (in Serbian). Retrieved January 5, 2019. ^ a b c d e Boban Novović. "Glavni grad je 47 godina nosio pogrešno ime: Kako je Titovgrad postao Titograd?". Vijesti (in Serbian). Archived from the original (via Wayback Machine) on 6 October 2018. ^ a b c Slobodan Vuković. "Dolazi Tito". Vijesti (in Serbian). Archived from the original (via Wayback Machine) on 2 March 2016. ^ "Pogledajte Kako Je Izgledao Ugovor O Radu '60-Ih U Fabrici "Radoje Dakić"" (in Serbian). May 8, 2018. Retrieved March 16, 2019. ^ a b Branko Kostić. "POČECI KOMBINATA ALUMINIJUMA". Montenegrina (in Serbian). Retrieved March 11, 2019. ^ Milan Milošević, Filip Švarm (1994-08-29). "Serbian President: The Technology Of A Showdown". Vreme. ^ Predrag Nikolić (September 14, 2018). "INICIJATIVA 100.000 STABALA ZA PODGORICU: Kome smeta drveće". Monitor (in Serbian). Retrieved January 5, 2019. ^ Željko Vukmirović (August 17, 2016). "Živjeti i umrijeti u Titogradu". Portal Analitika (in Serbian). Retrieved January 31, 2019. ^ MONTENEGRO: NATO BOMBING ATTACKS LATEST (YouTube). Associated Press. April 29, 1999. Retrieved March 16, 2019. ^ William Booth (May 3, 1999). "NATO Bombs Hit Montenegro Homes". The Washington Post. p. A31. Retrieved March 16, 2019. ^ "Neredi u Podgorici zbog Kosova" (in Serbian). Deutsche Welle. October 14, 2008. Retrieved March 16, 2019. ^ Nemanja Rujević (November 15, 2015). "Crna Gora: Protesti i ništa" (in Serbian). Deutsche Welle. Retrieved March 16, 2019. ^ "Situacija u gradu se smirila" (in Serbian). Vijesti. October 25, 2015. Retrieved March 16, 2019. ^ "Climate: Podgorica". Hydrological and Meteorological Service of Montenegro. Retrieved May 24, 2018. ^ "Monthly Statistical Review, no. 6/2014" (pdf). Monstat. 2014-05-05. Retrieved 2014-10-13. ^ "Tuzi became its own Municipality". ^ "Saobraćaj". Podgorica.me. Archived from the original on 25 March 2013. Retrieved 12 March 2013. ^ "U Željeznicu ulažu 52 miliona eura". ^ "Yerevan - Partner Cities". Yerevan Municipality Official Website. © 2005—2013 www.yerevan.am. Archived from the original on 5 November 2013. Retrieved 4 November 2013. Milosavljević, Olivera (2003). "Antibirokratska revolucija 1987-1989. godine". In Graovac, Igor; Fleck, Hans-Georg. Dijalog povjesničara - istoričara 8, Zadar (PDF) (in Serbian). Zagreb, Croatia: Political Science Research Centre Ltd. (PSRC) for Scientific Research Work / Zaklada Friedrich-Naumann. ISBN 953-6922-06-1. Retrieved 2013-02-23. Wikimedia Commons has media related to Podgorica. Wikivoyage has a travel guide for Podgorica.